Congratulations!! 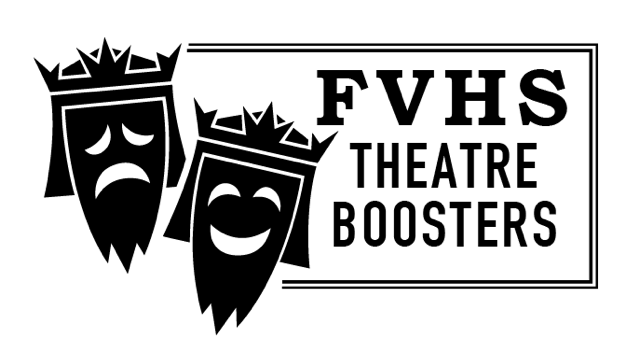 You are now an official member of the FVHS Theatre Booster organization. All parents automatically become booster members when your student joins the Theatre Productions. Participation in the Theatre Production will teach students self-discipline, team work, time management, responsibility, leadership and excellence in Theatre Production and visual arts. These goals cannot be accomplished without our love and encouragement. We are needed at competitions to support and assist the students. We provide input at the monthly booster meeting to assist in the direction of the program. We raise money to keep the program thriving. The Huntington Beach Unified School Districts provides only a small portion of the funding required to run this successful program. Booster Board meetings are open only to board members. Booster general meetings are open to all parents! Welcome and thank you for your support in both your student and the program! If you have suggestions or questions, please do not hesitate to contact a Theatre Booster Board Member or Robert Zick. We are all volunteers with a common interest…..our students!